The Kitsilano neighbourhood has long been known for its eclectic eateries, and now is your chance to experience the best of the best at budget-friendly prices. Dine Out Vancouver, Canada’s largest restaurant festival, dishes up incredible deals on over 200 restaurants. And with dozens in Kitsilano and the West Side, you won’t have to go far to sample all our neighbourhood has to offer. All participating restaurants offer three price tiers: $18, $28 or $38, and you can reserve your spot online. The 17-day festival, which runs January 18 – February 3, also offers unique culinary experiences, including guided dining adventures, culinary and cocktail tours, cooking classes and demonstrations, debates, guest lectures, BC wine and craft beer tastings, street food markets and more! 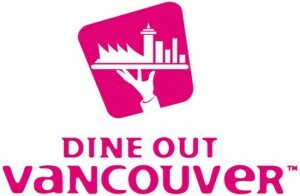 Visit the Dine Out Vancouver website for reservations and more details. hello.That’s a nice post.thanks for sharing.